Real-life success stories from people and their pets. Prospect is a 3 year old mix (Dutch Shepherd x Staffordshire Bull Terrier). He and my other dogs use BioSPORT every day and have seen improvements since we starting using it. Prospect continues to use your products and keeps improving his performance. Last year his Big Air jumps were 23-25′ in Dock Diving. He is now hitting 25-27′ with a personal best of 27’5″. I anticipate him only getting better. 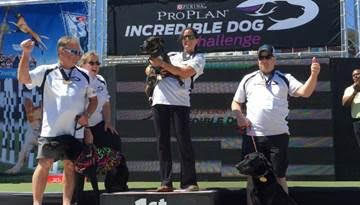 Prospect was invited to the Purina Incredible Dog Challenge in July. 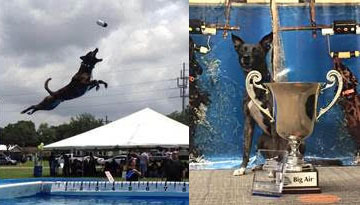 We won the Dock Dogs World Championship with a jump of 29’2″ and just broke the NADD World Record last weekend with a jump of 30’6″. What an incredible year for Prospect & I. Thank you BiologicVET for your continued support for helping us achieve our goals. We have been using your products for 3 years and every year we get better. This year all of our dreams came true. 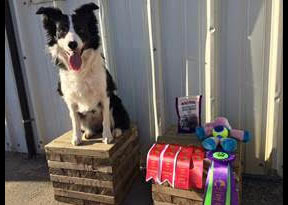 We got to compete at the Purina Incredible Dog Challenge Eastern Regionals, we took 1st place in Big Air-Super Elite at the Dock Dogs World Championship with a jump of 29’2″ and had a world record jump of 30’6″ at the Eukanuba AKC NADD Championship. To end the year, we already earned invites to the NADD & UAD Championships for 2016. Looking forward to 2016 & what the future holds. 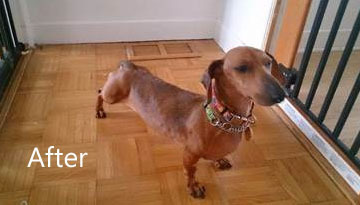 Schnitzel is a 16lb Dachshund, who had a large section of his intestines removed. We are still not sure what caused Schnitzel to become very ill, but we have modified his diet, and he seems to be doing very well. I have been running him 10KM every day for a couple of weeks right now and he is doing better. As you know we are proud users of your products. I personally have been using your sport and joint supplements for years with my dogs. I have always had great results, sspecially with BioSPORT. Within a few weeks I see great changes in their muscles and overall performance. We truly believe in your products!!! We know they work!! I own two dogs who thrive off of the BioSPORT and BioJOINT products. 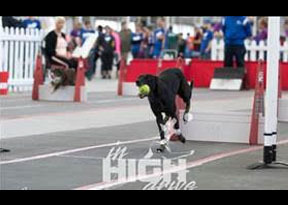 I compete in a wide variety of dog sports with my dogs such as flyball, agility and disc. 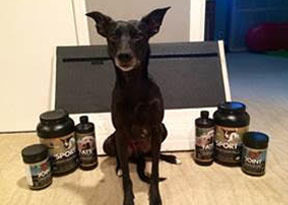 My whippet, Forza, had a really nasty shoulder injury shortly before flyball nationals, and we started to double up our dosage of BioSPORT and BioJOINT to help heal his injury. Low and behold, he came to CanAm and ran flawlessly all weekend, running a new personal best time! I have BiologicVET to thank for that. In the summer he used to melt and slow right down after 2 races. Now using BioSPORT his endurance has been 100% improved and he runs his fastest at the end of the day on the second day of racing! 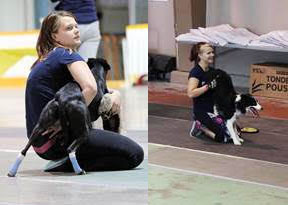 Vibe and I competed at a flyball tournament this weekend! She rocked it all weekend and was still ready to go again today! 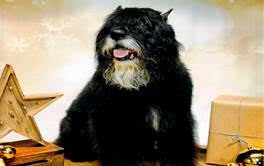 For years, I have been using BioVITES for my Bouvier, General. He came to me with smelly, runny poop as a young dog, but was otherwise healthy. 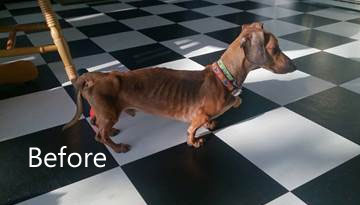 Changing his diet didn’t help but adding digestive enzymes helped immediately. Bouviers are famous for their excessive flatulence but he doesn’t have that problem. 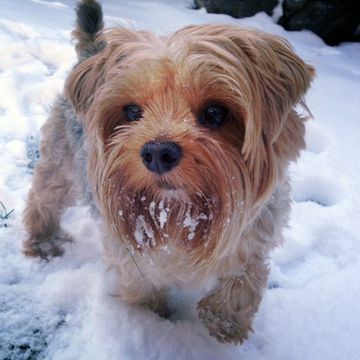 General is now 8 and still bounces around like a puppy, thanks to BioVITES and more recently, BioFATS.